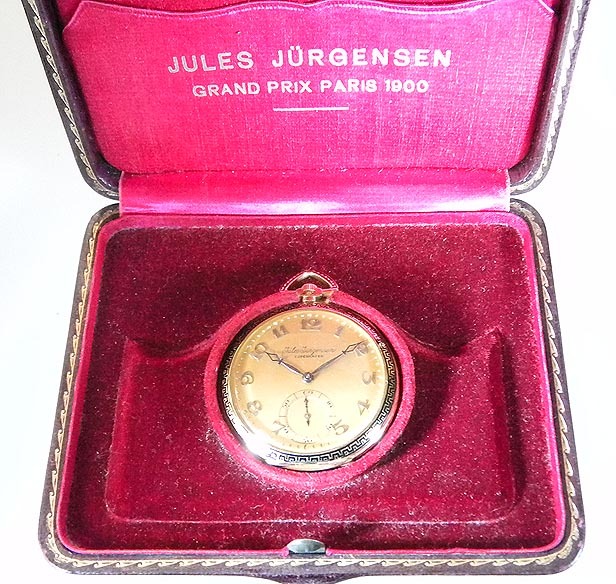 Fine Jules Jurgensen 18K gold and enamel slim dress antique pocket watch with original box circa 1915. 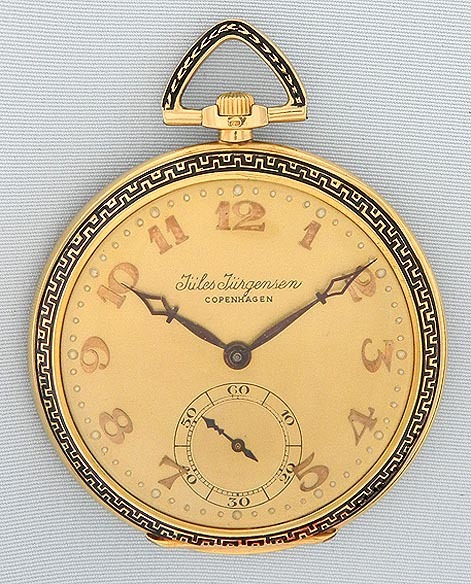 Original gold dial with applied gold numerals and fancy blued steel hands. 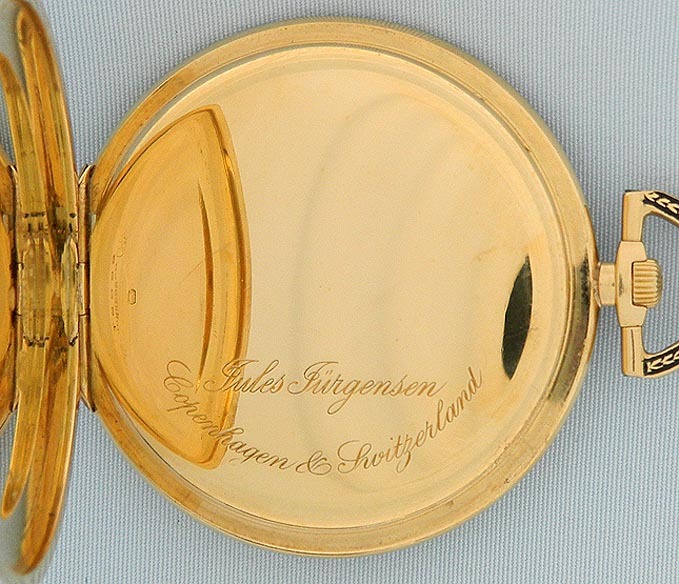 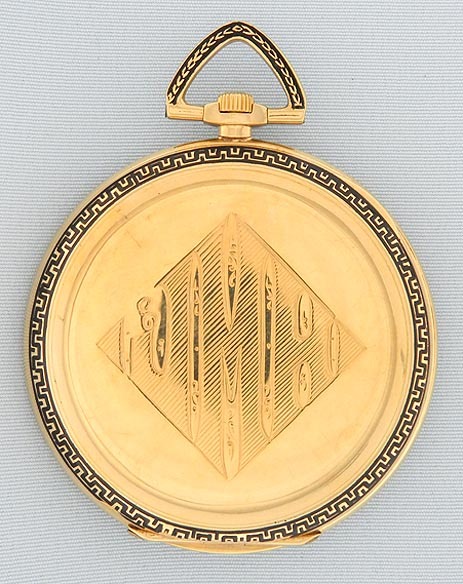 Plain polish case with black enamel decorations on the bezels and pendant. 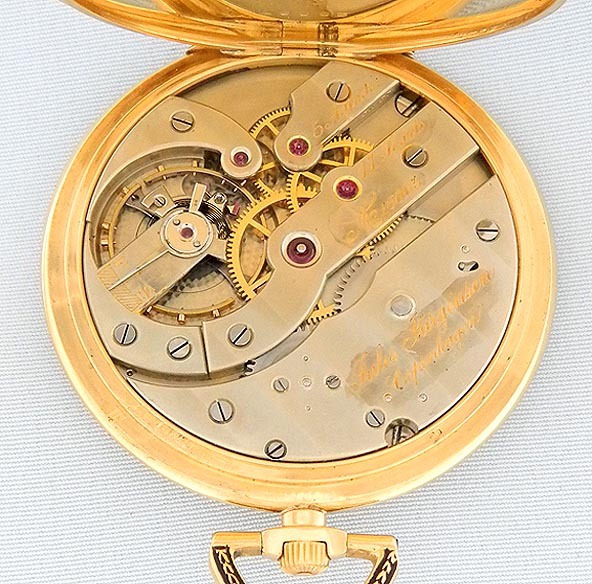 Fine nickel 17 jewel 5 adjustment movement.